Samsung's Galaxy S II quickly became my favorite Android phone to date when I first laid eyes on it back at Mobile World Congress this past February. 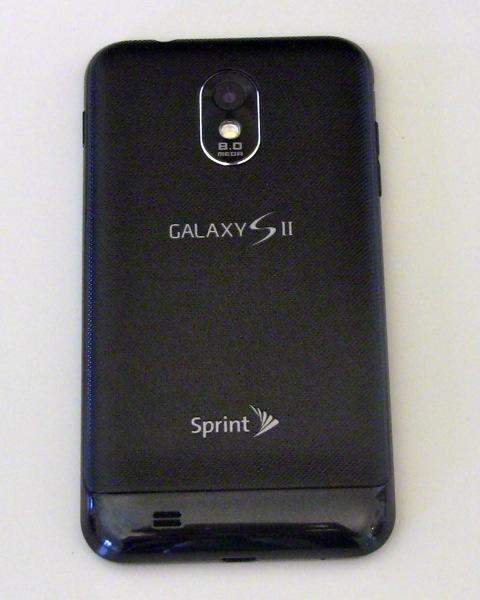 The first U.S. variant of the GS2, Sprint's Epic Touch 4G, just became my favorite Android phone currently available on an American carrier. Epic Touch's combination of a big, beautiful display, processing power to spare, and a thin, light, pocketable form factor make it immensely attractive even to a "cell phone's a cell phone, I've seen 'em all" curmudgeon like me. Also, the camera's pretty darn good unless you're shooting video in a poorly-lit club. If I absolutely had to buy an Android phone on a US carrier right now, I'd debate a little between Epic Touch 4G's awesome blend of power and thinness and one of those Droids that blazes along Verizon's LTE network. At least out here in the East Bay and downtown San Francisco areas where I've been testing it, Sprint's 3G/4G network has a bad habit of bringing Epic Touch 4G to its knees by way of endless searches for lost signals and the battery sapping ways of WiMax. T-Mobile's HSPA+ network also outperforms Sprint's WiMax in these here parts, so I'd consider one of those HTCs (Sensation? myTouch 4G Slide? ), as well. That said, Epic Touch 4G fares at least as well as any other Sprint 4G phone when it comes to raw data speeds. I think it's the best on the Now Network's block, actually. Forgetting the networks for a second; however, it's hard to argue with Epic Touch 4G when taken in the context of the current American Android landscape. ET4G's display is big enough to make typists forgive the lack of physical buttons, especially once they've installed their favorite soft keyboard (SwiftKey is my current fave). While a new wave of Android phones sport higher-resolution qHD (960 x 540 pixels) displays, ET4G's 4.52″, WVGA (800 x 480) is screen is so stunningly gorgeous that I'd trade the extra dots for Samsung's Super AMOLED Plus display tech. And while ET4G does nothing to combat the notion that Sammy's smartphones feel cheap, its 9.65mm thin profile and scant 4.09 oz weight go as far as perhaps the laws of physics allow towards the noble goal of helping you forget there's a ginormous mini-tablet of a "phone" in your jeans pocket. 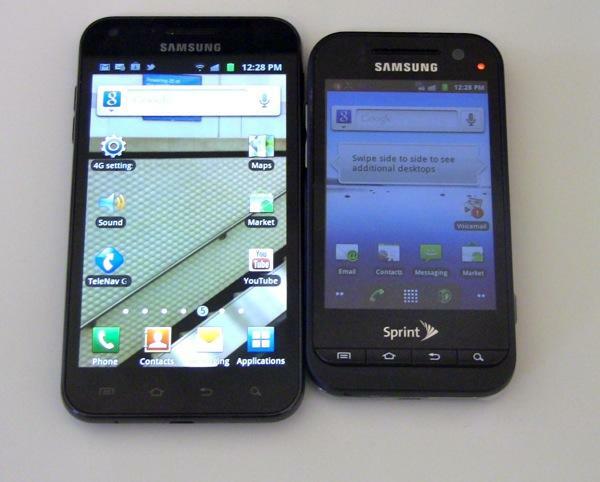 Granted, the original Galaxy S II is both thinner and lighter than this version, but that phone only offers 4.3″ of Super AMOLED Plus eye candy. The touchscreen is responsive, the dual-core 1.5GHz Exynos processor blazes through pretty much whatever you throw at it, and the camera shoots very good 8MP stills and pretty darn good 1080p videos so long as lighting conditions are favorable. Sprint went ahead and loaded the phone up with bloatware, but Samsung's latest iteration of TouchWiz does a few things I like (adding items to homescreens is, dare I say, easier with TW than without it), and Samsung UI is relatively easy to ignore if you don't like it. This is Android, so you can always root the sucker, too. 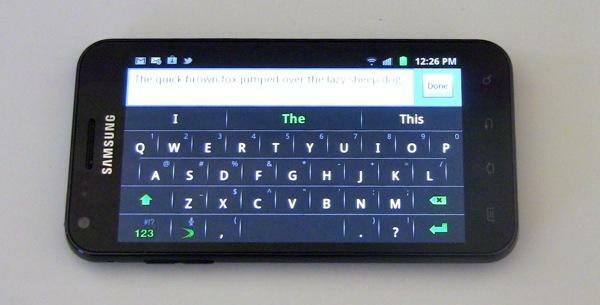 Also, this phone offers some crazy motion-based UI gestures that make for great nerd party fodder if nothing else. But that's not all! 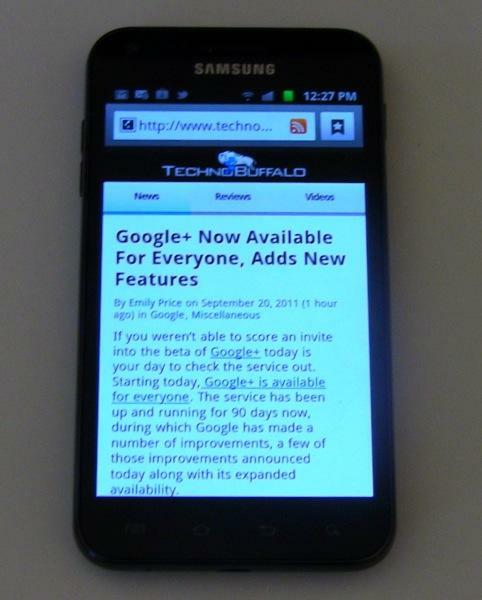 Epic Touch 4G has something the first wave of GSII devices do not: A front-facing LED notification light. If you're a heavy smartphone user, you don't know how much you want an LED for notifications until you finally have one. Seriously. That said, this phone ain't without its faults. Physically, the thing feels like it's entirely hollow except for a giant spring whose vocabulary is limited to the single word, "BOING!" Veterans of complaining about Samsung phones know what I'm talking about. You get used to it quickly enough, but it's still disconcerting to own a bleeding edge piece of mobile technology that boings nearly every time you tap its screen. Also, there's no NFC chip onboard. That likely won't matter much to you now, but seeing as Google Wallet literally just launched, you may feel left out in the cold if NFC-based payment systems catch fire in the US over the next 24 months. And then there's Sprint's network, which may be the best game in town where you live and work. If so, skip the part a few paragraphs back where I complain about it being spotty and slow in the Bay Area. To recap, Epic 4G Touch is the best Sprint phone available right now and it might be the best Android phone in the US depending on your particular preferences. 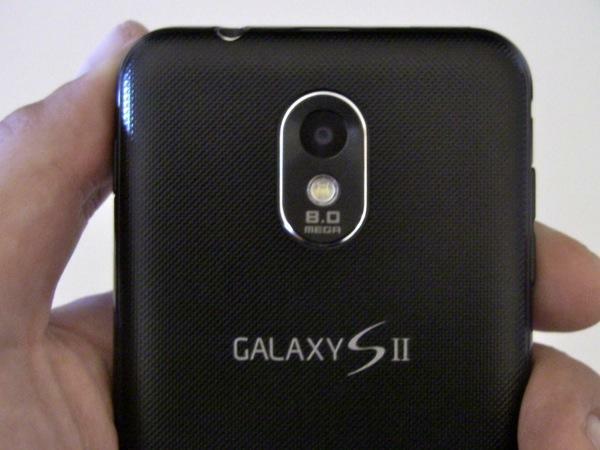 But … and this is a big but … ET4G's Galaxy S II brethren are lying in wait to make their US debuts any week now. 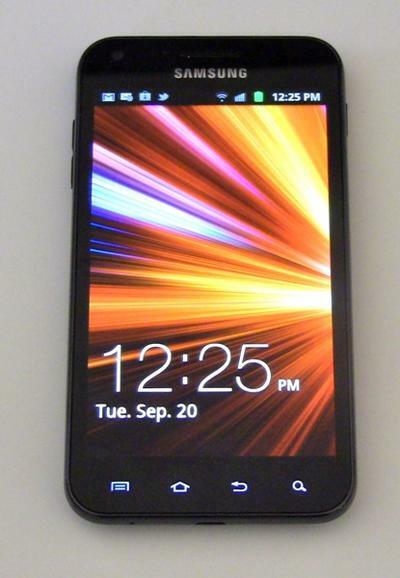 And then there's that Nexus Prime thingy, aka The reason Verizon doesn't have a GSII phone of its own. 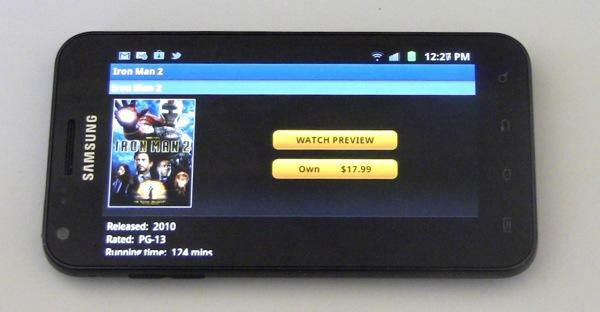 If you must buy a top-shelf Android phone right this second, Epic 4G Touch is anything but a bad choice. If you can wait a few weeks, you'll have a few more choices when it comes to Samsung's flagship devices on US carriers.